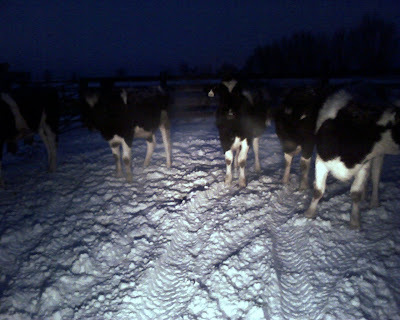 First I Am Dad: Moo in the Snow. At Night. Moo in the Snow. At Night. I think I will settle for some lazy cow blogging today.